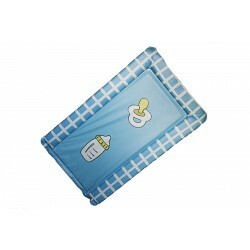 Here you will find a range of baby changing mats and changing units that are perfect for facilitating your nursery and ensuring you have everything you need. 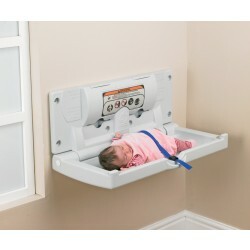 Reliable, strong and hygienic, they are designed to support babies and infants safely. Offering both changing mats and wall mounted units, they will keep babies or infants comfortable and secure during changing times. Our range of units fold away after use to ensure you have space and they have an adjustable safety strap. 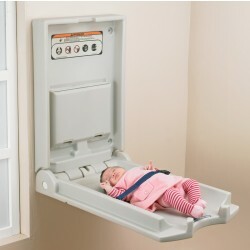 Created to provide hygienic solution to changing babies and infants, buy yours today from System Hygiene.